In early November 2018, we set out to honor the legacy of Drs. John and Vera Mae Perkins and celebrate CCDA’s 30th Anniversary at our National Conference. While our focus was set on being rooted in a deep and abiding faith in God, it was not without its challenges. We acknowledge there was some friction amidst our gathering which led to confusion at the Conference. We commit to strive towards creating environments where we can all learn and grow together as a community of practitioners. 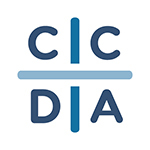 In our previous communication we promised to share more information regarding how we have worked to bring about significant organizational change within CCDA. In the fall of 2016, Ava Steaffens moved into the role of CEO to manage the organization and lead the staff. We began to move away from the national centralized office model – a hub of staff and decision making where the team was often spread way too thin to effectively manage the fullness of a dynamic organization. Our volunteer board also struggled to bring about the right leadership structure needed to create a positive culture while supporting the organization’s growth needs. Today, our team is decentralized from Detroit to Denver, California to Washington, D.C., and beyond. They are more appropriately supported with a variety of strategic investments in leadership development and training, finance and administration, advocacy and strategic engagement. Our board has led in the direction of the implementation of improved staffing structures and has worked with management to develop several accountability policies and practices. Learn more about CCDA’s restructuring and transformation. As you know, on October 31, 2018, the CCDA Board accepted Noel Castellanos’ resignation as President. Change is hard, but it can also be a blessing. How appropriate a time for our recent Gala, honoring the Perkins’ “Grace and Grit,” to truly reflect who we are and where we are headed. Through your patience and support we have grown from an organization of 270 active members to more than 1,500 active members and our National Conference continues to draw thousands of attendees each year. As a result, we are gaining a fresh perspective on how to encourage wholistic restoration in our communities. As followers of Jesus, we recognize there is still much to learn as the organization continues to grow. We thank you for your support, inquiries and prayers as we continue to try and answer questions that may remain. We believe that by remaining rooted in Christ, together we can produce the lasting fruits of love, equity and peace.